Can't argue the laser swap (and also can't help but note that it brings it a little closer to feeling like a DW Prime). The Streak rack I feel like is another attempt to keep the original Dire Wolf look intact while trying to get some newer tech shoehorned in there- and not in a good way. Streak LRMs can be fun, but a 10 just doesn't really give you the power one would like for the weight. My immediate knee-jerk is 'SRM racks!' as a response, but with twin LB-10X adding more crit-seeking really won't help much, I suppose. But yeah, autocannon and four laser ports in each arm, 10-rack of missiles on the shoulders... it's not a Prime at all, but it's trying to re-use the artwork at least. How much ammo does it carry for the LB-10's? Unless it has about 4 tons of autocannon ammo, I'm getting a bit uncomfortable about this beast. It's murder on vehicles, sure but it's a bit under gunned against mechs at range. Like the rest have said, it needs some ER large lasers to do some hole punching. My novels are in a box somewhere, but did the various princes use the Wolf's Dragoon model for their graduation trials in Blood Legacy? It's got two tons of ammo per cannon, and one ton of ammo for the streak launcher. I don't believe so. I'm pretty sure they were using the A variant- Stackpole was pretty fond of writing everything as using pulse lasers and Gauss rifles. Sounds right- IIRC he put a slug through Sunny's cockpit to Stackpole the engine with two mechs next to it. 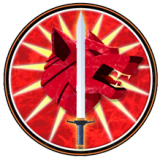 While in some ways inspired by the Echo Configuration, my Constant Variant of the Dire Wolf might be worth looking at.I created the Constant back when the Clans were first introduced, so no CASE II or advanced ECM or what not. Just continuous use of the LB 10s and LRM with bracketing Energy Weapons fire. That's great, but this isn't the place to discuss a fan config. They used a custom configuration (or at least Kai did) that... I think... inspired the W configuration. At the time the details of what was done and could be done with omnimechs was still a bit fuzzy, so the description in the book might not mesh with later stats. I don't think any of the other direwolves used on Outreach were ever described in detail, nor was Hohiro's (at least not until the record sheet was created). The Daishi Prometheus configuration was actually given a record sheet by FASA shortly after Victor started using the mech, and also appeared in the CCG. It was just never used in the fiction until Loren Coleman took over as the writer for the main plot after Stackpole quit. The same thing happened with Natasha Kerensky and Widowmaker. Yeah, it's not like one of the 3050 configurations with one ton of ammo. You know, that mech could really use another ton of LRM ammo, don't you think? Or the Gauss Rifle needs a 2nd ton rather than a SRM launcher . . .
Or two ATM-9s instead of a 12 and a 6. Yeah, I'm in agony here. Say this for Dire Wolves, but even when they DO make bad choices in ammo layout they at least cover it up with layers of other weapons to compensate usually. If the ammo can be mismanaged, it will be on this mech. I think the two Thor variants that take the cake for bad ammo choices are the D (there's never a reason for a full ton of MG ammo) and the M (Yeah, let's add a second ton of ammo for the Streak SRM pod, because there's somehow a chance that it might actually be able to spend the 20-25 rounds of being in streak range of someone necessary to fire off the first ton of streak ammo and still be combat-functional). Huh? IIRC the A has the same problem with the Gauss Rifle, 8 shots while the SRM has 2t of ammo. I cannot remember if the C has too much Streak ammo. Then JHB pointed out the E, which has a ATM6 and ATM12. I think the H, HH and Q all have ammo problems but I would have to recheck their sheets- H & Q too many SRM launchers vs ammo, and the HH suffering like the A. Apologies, I was looking at the G when I said that . . . the difference between it and the Q by stats is not much. But yeah, the Dire Wolf may place the ammo in a unfortunate position but it has the right amounts for what it does carry. Kind of surprised we never got a IJJ version that was somewhat like the Marauder IIs. You're talking like a jumping PPC-boat kind of thing? I mean the C kind of covers that, but with a lot of extraneous weirdness, I admit. What I was sort of thinking was the MAD-6D with its screwy (IMO) short range stuff . . . So IJJ, 2 Heavy Large Lasers, 2 ER Med Pulse Lasers, maybe a HAG . . . or a plasma cannon for fun. Alright, when I get home I will give it a whirl . . . the -6D is just so weird IMO since the pop-guns outrange the 'heavy' main guns. 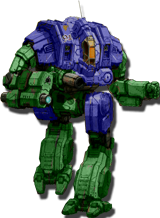 I've become a huge fan of the G configuration because while I'm not a fan of standard SRMs on clan units, at least the G is an example of a proper way to build a mech. 2 big beamers & a boatload of critseekers for when the holes have been opened up. While I don't disagree about MG ammo, I'm not sure an energy weapon monstrosity like the Thor-D ever gets any claim to mismanaging ammo, like, EVER. hehe. Here you are JHB . . . I am going to have to mess with it in MM.